Sea Creations GalleryRecord Owner? Log in. I create jewellery and other objets d'art from Sea Glass and various objects which I pick up on the beaches of Grenada, West Indies. The Sea Glass has been sculpted and sanded by the sand and sea. Realistically hand carved birds by Henry Flaming. He even carves the flowers and leaves that decorate the stands upon which the birds sit. Have something to say about Sea Creations Gallery? 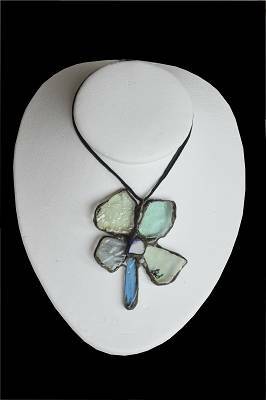 Interesting creative jewellery; only ones I've ever seen which are made from soldered sea glass. Also really great prices on fabulous hand carved birds.